Touring the “Grate Room” at Tillamook Creamery’s Portland location, the Tillamook Outpost. 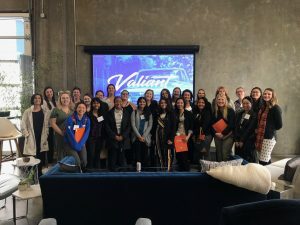 The 2019 Women in Leadership Spring Break Trip, co-hosted by the Women in Leadership (WiL) student organization and the OSU Center for the Advancement of Women in Leadership, took 22 OSU student leaders representing six different colleges (and numerous student clubs) on an overnight visit to Portland. 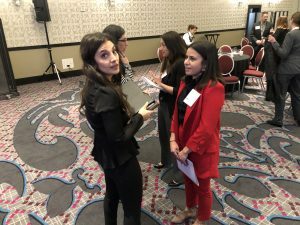 The trip included meeting and networking with women leaders at companies big and small, and attending the Nation Diversity Council, a symposium sponsored by Lane Powell, with Portland women business leaders. WiL student chapter president Lily Beck had a leadership role in planning the trip. “Since it was over spring break, not everyone was centrally located on campus. Some people were at home in Portland or around Corvallis, and we even had an online student fly in from Idaho. I had a lot of help to make sure all the logistics were lined up,” Beck said. 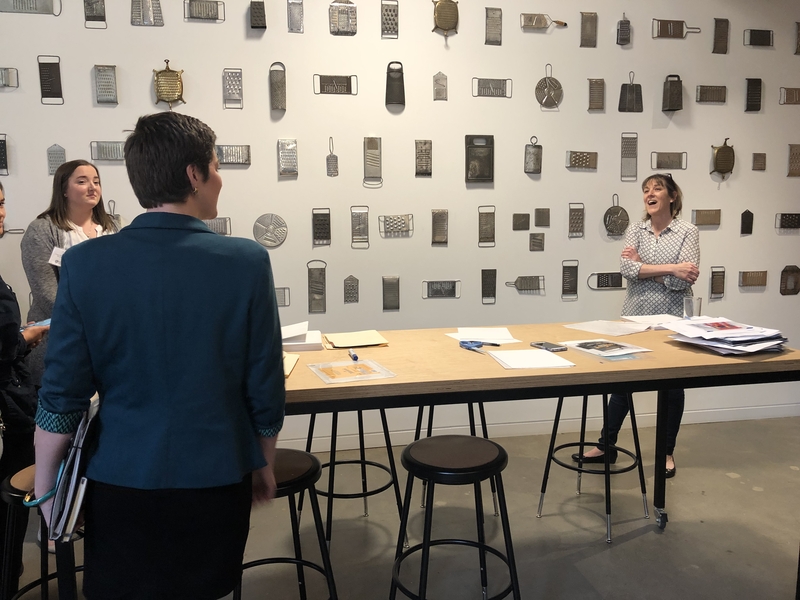 Among the visits, the group toured Tillamook Creamery’s Portland location, the Tillamook Outpost, and sat for a workplace culture discussion with Sheila Murty, Tillamook’s executive vice president of people and culture, and Sibel Candemir, their vice president of categories. Up next the group headed to Nike, paused to sign non-disclosure agreements and then embarked on an exclusive visit to Nike’s top secret, innovation-focused Valiant Labs. The discussion was led by Nike’s Shaherose Charania, senior director at Valiant Labs, and Liz Freuler, their director of brand and consumer marketing. Many suggested it was a highlight – but did not say much more! The group then visited Green Zebra, a women-owned grocery chain that features local and organic food in communities that lack larger food retailers. Evelyn Murphy, Green Zebra’s chief people and operations officer, met the students and discussed their philosophy for the small local grocer as a community focal point. An evening networking mixer construed into a “flash mentoring” session allowed trip attendees to circulate through various tables for prompted discussions. Each station would seat two Portland professionals, and about six students taking on the topics. “We structured the conversations so that students could learn about the challenges women face in the workplace, how to navigate those challenges and how to lead and create change,” said Audrey Iffert-Saleem, center director. The following morning the group attended the National Diversity Council’s Women in Leadership Symposium at The Nines hotel in downtown Portland, joined by panelists from Bank of the Pacific, Tonkon Torp, Lane Powell, Portland Trail Blazers as well as College of Business Dean Mitzi Montoya. Attendees discussed topics such as building up the women around you, defeating gender-based harassment, the imposter syndrome and using technology for work-life integration. Following the event, the group engaged in additional discussion over lunch with Portland business women, including members of the panel. “We were all able to benefit from the connections we made, and the people we talked to. It was an amazing experience for me to be able to plan this kind of trip, and I would do it again in a heartbeat,” Beck said. Students across OSU will have the opportunity to enhance their professional sales skills, thanks to a newly launching initiative in the College of Business. The Sales Academy comes to OSU in the 2018-19 academic year with the backing of numerous regional and global corporate partners. The Sales Academy combines both academic and extracurricular activities, giving students interested in developing or improving their knowledge of professional sales tactics and strategies. The Sales Academy is centered on a series of learning modules that culminate with a resume-building certificate from the College of Business Sales Academy. An annual sales competition will pit area universities’ best sales teams in a real-world scenario to test their skills. The Sales Academy extends from a corporate partnership wherein sponsoring businesses, those with a stake in cultivating a talented pool of sales employees, get involved as mentors, teachers and backers of the academy’s multiple learning opportunities. Pacific Office Automation, title sponsor of the Sales Academy, is an office management and office information technology solutions provider with locations throughout the Pacific Northwest and Southwest United States. POA President Doug Pitassi says that the topic of access to trained sales professionals is a common discussion point among his network of small- to medium-sized businesses owners and executives. These businesses all seek the same solution – a better supply of trained workers. Pitassi also seeks to create a deeper understanding of the negotiating, relationship-building skills, and expertise of a sales professional. He seeks to elevate the value and sophistication of sales skills as a professional skill set. Danelle Kronmiller, director of strategic partnerships at the College of Business, says that the POA title sponsorship is just one of the many ways that businesses can turn thought leadership on a solution that benefits an industry in particular or the economy of Oregon. Paint manufacturer, distributor and seller paint coatings and related products Sherwin-Williams, is a bronze sponsor of the 2018 Sales Academy, and Modesto, Calif.-based E. & J. Gallo Winery, the largest winery in the world, also is a bronze sponsor. Three minutes to pitch, another three to take questions, and then a few moments for judges to make notes. Through two days of competitions, hours of presentations on three separate competitive event platforms, the College of Business and OSU entrepreneurs filled Austin Hall awaiting their chance to pitch – and their chance to win startup funds. This is InnovationX, the OSU Center of Excellence for Innovation and Entrepreneurship, which serves students of all majors across the university. The second-year students of BA 260 “Introduction to Entrepreneurship,” and the business startups enrolled in Launch Academy incubator courses (BA 367 and BA 368) appeared in Stirek Auditorium Friday for their reckoning. These were the survivors – through the various elimination rounds across three separate panels of judges. Team Creative Hub took the top prize of $1000 for BA 260 students, besting the elevator pitches of the more than 350 students enrolled in the course. Among the Launch Academy competitors, ShoeBio, Medivac and Melaknow were the top-funded businesses of the 14 teams. Altogether Launch Academy startups earned more than $15,000 in support from the Giles Student Entrepreneurs Fund. At the Thursday event, the engineering and business students competing in OSU Advantage Accelerator’s annual “The Next Great Startup” appeared for the preliminary showdown. Of those teams, Melaknow and Kickback will advance. These finalists from the preliminary competition will compete against student teams from across OSU during a university-wide competition held winter term. 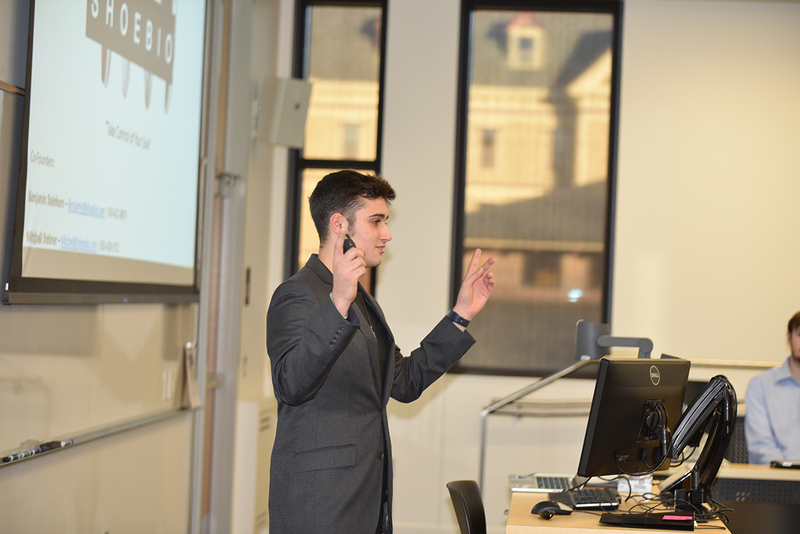 Noah Hoffman opened his pitch with a dramatic statistic from the Hurricane Maria aftermath in Puerto Rico – in just two months after the disaster, deaths attributed to diabetes increased by 46 percent. He points out that insulin degrades within six hours at temperatures higher than 85 degrees Fahrenheit. His startup Medivac provides a portable, reliable, and long-lasting refrigeration unit offering freedom and security for diabetics. His product is a hybrid cooling box about the size of a lunchbox that mixes passive and active cooling methods to provide long-lasting and secure cold storage for any biologic medication. “Not only do we provide peace of mind for those without power, but we also enable everyday people who rely on temperature-controlled medications to travel, camp, and venture further than they’ve ever been able to before,” Hoffman said. Medivac earned $2,000 in funding from the Giles Fund. Eli Winkelman, for MelaKnow, points out that the most significant factor for surviving a skin cancer diagnosis is early detection. He also cites data that nationally dermatologists are in short supply, with appointment windows opening only six months into the future. Long enough for a patient to worry, or simply forget and move on. MelaKnow is a skin cancer screening tool for primary care providers to better diagnose cancer with their smartphones. With MelaKnow’s machine-learning, primary care providers improve their diagnosis from 50 percent accuracy to 90 percent accuracy. MelaKnow, which is currently applying for NSF grant funding, also earned $2,000 in funding from the Giles Fund. Benjamin Steinhorn, presenting ShoeBio.com, describes it as “Trivago for sneakers.” His team harnesses big data with a patent-pending normalization algorithm to streamline the buying process, create price alerts for deals or other alerts for styles and sizes. His polished, functioning platform earned $2,500 in funding, but seeks six digits worth of capital investments. Graham Barber’s entrepreneurial passion is dotmap, a company that creates tools for game developers. Graham presented Knife, a platform that makes it easy to organize and sustain events called game jams, where people create games in a limited period of time. Knife provides a robust, customizable web-based interface that helps organizers track participants, teams, submissions, and more — all of the moving parts of their event. With Knife, game jam organizers can spend less time building their own management system, and spend more time engaging with their community to run a better event. Knife earned $500 in funding from the Giles Fund. Two finalists advance to the next stage of the Advantage Accelerator’s Next Great Startup. They’ll compete against the best OSU teams that survive the winter-term elimination rounds and were each awarded $500 cash prizes. Business, leadership, health, strength and service to society ― these are some of the many torches our lineup of panelists carry to the first Corvallis-based Advancing Women in Leadership strategic discussion this month. The November 29 meeting, hosted by the OSU Center for the Advancement of Women in Leadership and the OSU Women in Leadership student club, brings together Julie Jones Manning, former Corvallis mayor and vice president for marketing, public relations and community health promotion at Samaritan Health Services; Ilene Kleinsorge, professor and dean emeritus, OSU College of Business, and Marianne Vydra, deputy athletics director for administration/senior woman administrator, Oregon State Athletics. The Corvallis discussion series follows the model of the highly successful Portland-based series now entering its third year of quarterly events. Though the Corvallis-based series does aim to facilitate student involvement, expanding the series makes OSU’s academic thought leaders, Corvallis and the area’s entrepreneurial-minded leaders even more accessible to our students. These signature networking and discussion series are part of the core activities of the Center for the Advancement of Women in Leadership, founded with the mission to change the landscape of business leadership by moving women into leadership roles in industry and create the pathway for women’s perspectives to have equitable influence on business decisions and growth. Julie Jones Manning is vice president for marketing, public relations and community health promotion at Samaritan Health Services, a Corvallis-based regional health system comprising hospitals, physicians and health plans serving Linn, Benton and Lincoln counties. In addition to her responsibilities at Samaritan Health, Manning served as mayor of Corvallis for four years from 2010 to 2014. Manning remains an active community volunteer. She co-chairs the Early Learning Hub of Linn, Benton and Lincoln counties and is a member of the Oregon State University Board of Trustees. She is also a board member of the Benton Community Foundation, Oregon Humanities and the Greater Oregon chapter of the Public Relations Society of America (PRSA). She serves on the Oregon Community Foundation’s Leadership Council for the Southern Willamette region. She was named Corvallis’ First Citizen in 2004. Ilene Kleinsorge, professor and dean emeritus retired in June 2015 as the Sara Hart Kimball Dean of the College of Business at Oregon State University. Kleinsorge had served in that capacity for more than 12 years. She directed a business program that educated nearly 5,800 students including 3,900 business majors and pre-majors, nearly 850 business and entrepreneurship minors and more than 800 students in the School of Design and Human Environment. A faculty member of the College of Business at OSU since 1987, she served as department chair of Accounting, Finance, and Information Management from 1995-2001 and again from 2001-2002. She was appointed dean in 2003. Most of Dean Kleinsorge’s teaching and research focused on cost and managerial accounting systems with emphasis on multinational companies and healthcare. Marianne Vydra, deputy athletics director for administration/senior woman administrator, Oregon State Athletics, is a part of an executive team that has guided OSU Athletics into a new era that encompasses success on the fields of play, but also outside of the competitive arenas through leadership initiatives and academic programs. Vydra was promoted to senior associate athletic director/senior woman administrator in 2008 by then Director of Athletics Mitch Barnhart. In February 2015 CollegeAD named her one of the top 10 senior woman’s administrators in the NCAA. She served as OSU’s interim director of athletics in July 2015. As part of the executive team that oversees 17 sports and over 500 student-athletes, Vydra’s vast array of responsibilities include heading the senior staff strategic planning group, human resource management, student-athlete welfare (sports medicine, strength and conditioning, NCAA Life Skills, and the Leadership Institute), and is the supervisor for several men’s and women’s sports. She is the department’s liaison for Title IX/gender equity, student fees and the Athletic Advisory Council. Vydra also serves at the NCAA Certification Steward and assists with the department’s budget development. The native of Missouri serves on numerous OSU, Pac-12 Conference and national governance committees. She currently is the chairperson for the NCAA Women’s Soccer and Softball Committees, is a member of the NCAA Women’s Gymnastics Committee and is on the President’s Commission on the Status of Women. Vydra recently served as the vice president of the executive board of the Pac-12 and has been a member of the Long Range Planning Committee, Student-Athlete Advisory Committee, the Diversity Initiative Committee, the women’s basketball tournament committee, and the league’s television committee. (l to r) Lane Community College President Margaret Hamilton and OSU College of Business Dean Mitzi Montoya signed a degree partnership agreement today to open a fast-track pathway to a bachelor’s degree. One year to a bachelor’s degree, you’ve read that right! Graduates with a business associates of applied science from the Eugene, Ore.-based Lane Community College can earn their bachelors degree in business from Oregon State University in one year thanks to an innovative new plan. College of Business Dean Mitzi Montoya and Lane Community College President Margaret Hamilton signed an agreement today in Corvallis, the first fast-track arrangement between the two educators. Lane Community College and OSU College of Business have developed the agreement for LCC associate of applied science business graduates to transfer to Oregon State University and complete the coursework necessary for a bachelor’s in just one year. Oregon State University has degree partnerships with all seventeen Oregon community colleges to provide a smooth path for Oregon students to earn their four-year degree. However, the LCC agreement is the first of its kind to build out the expedited curriculum plan. This is a great opportunity that paves the way for similar partnerships between LCC and other colleges at OSU. The agreement effectively creates a “2 + 1” degree that opens up options for Lane business students that aren’t available locally. The agreement will save students hundreds of hours and thousands of dollars while completing a bachelor’s at an outstanding business school. Under the agreement, OSU will accept up to 120 credit hours from LCC that will count toward undergraduate business administration degree requirements. Students will then complete 60 upper-division credit hours at OSU to earn their bachelor’s degree. “We’re excited to pave the way with innovative partnerships that give more students access to an OSU degree,” Montoya said. The agreement provides for close personal attention for students to ensure success, including orientations, trainings, personal advising, appointment scheduling, access to scholarships, access to upper-division hybrid courses, and other assistance. LCC and OSU anticipate improved admission, retention, and degree completion as a result of the arrangement. The agreement will be reviewed in three years. If you ask Jim Bernau how long he has worked in the wine industry, he will tell you that he can only remember ever working two days. This story begins like it did for many of us. Being served small amounts of wine at the dinner table by our parents. But in Bernau’s case, it was made by the first emigrating winemaker since Prohibition: UC Davis graduate Richard Sommer, who believed it was in Oregon ― not California ― where he would grow world-class pinot noir. Sommer needed a lawyer to obtain the necessary licenses that the state hadn’t issued in more than 30 years, so he drove his pick-up truck into the small town of Roseburg to find himself a lawyer, and hired Bernau’s dad. By 1963, Sommer had produced 200 gallons of wine. First motivated by its effects more than its flavor, Bernau began by fermenting the concord grape juice that his mom kept in the freezer, guided by information on fermentation in the family encyclopedias, later graduating to Sommer’s grapes – hiding the bottles under the crawl spaces of the house. While Bernau’s father wanted him to return from Willamette Law School to the family practice, he chose to pursue his interest in government and wine, representing the Oregon Winegrowers in the passage of the Oregon Wine Advisory Board for the research and promotion of the industry in 1981, his first piece of legislation as a young lobbyist. In the same year, he began searching for vineyard land, found an old overgrown pioneer plum orchard in the Salem hills and began planting pinot noir in 1983, watering his vines with 17 lengths of 75-foot garden hose he’d bought on special. Bernau named it Willamette Valley Vineyards – later to become grandfathered into federal law when the American Viticultural Area was federally authorized. While the vines were growing, Bernau concentrated on helping the Oregon Winegrowers by passing legislation on making wineries a permitted use on farmland, the direct shipment of wine, wine tastings in stores and restaurants, and later the establishment of the Oregon Wine Board. Bernau’s personal gift to Oregon State University established the first professorship for fermentation science in the nation. 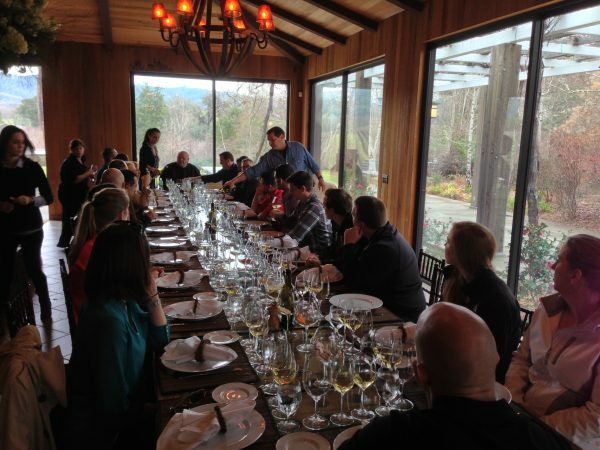 His fellow winemakers recognized Bernau’s early work with the industry’s Founder’s Award followed by the Governor’s Gold, presented by Oregon’s four living Governors. His wines created quite a stir by when they appeared on the television shows “West Wing” and “Friends,” and were later served at White House State dinners. Willamette Valley Vineyards was eventually listed among the top 100 Wines in the World by Wine Spectator, named “One of America’s Great Pinot Noir Producers” by Wine Enthusiast and was dubbed “Winery of the Year” by Wine and Spirits. The recognition Bernau values most came from his fellow winegrowers when he involved in creating the first system of environmental stewardship in American agriculture, the Low Impact Viticulture and Enology program, followed by awards presented by the Rainforest Alliance and the American Wine Society. Bernau believes among healthiest forms of business organization are those owned by the community. He conducted one of the earliest “crowd funding” in the nation to build his winery by obtaining permission from the Securities and Exchange Commission in 1988, resulting in a growing fabric of laws allowing community-based funding for small businesses. 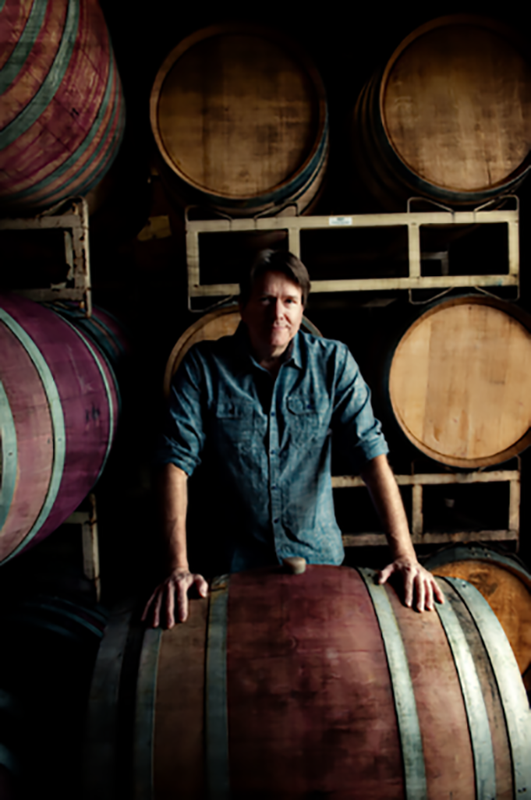 Willamette Valley Vineyards has grown to more than 16,000 wine enthusiast shareholders and is listed on the NASDAQ under the symbol WVVI. What do you get when you combine public policy research, serial entrepreneurship, and diversity-focused executive leadership? ― You get our next Advancing Women in Leadership strategic discussion, that’s what. We’re hosting our November 6 meeting at the OSU Portland Center in Pioneer Square, our first at OSU’s new location in the heart of downtown. This is an opportunity to gain insights from the impressive panelists we have on board as well as visit the new learning hub that we are all so passionate about. We’re grateful to our panelists for this quarter’s Portland event. Su Embree is the CEO and President of DHM Research, a well-respected opinion research firm based in Portland, Oregon, with offices in Seattle, Washington, and Washington, D.C. The firm specializes in public policy issues and studies the values of everyday people in communities across the country. Su’s interest in research began early in college where she learned the power of data to improve outcomes. Today, she dedicates her time in highlighting the voice of our community to executive teams, elected officials, and boards of directors. DHM Research has cultivated strategies to increase community impact, specifically around diversity and equity. She takes a leadership role, serves on boards, and engages with community leaders to increase support for women and minority-owned businesses. Embree also is committed to developing young leaders of color in corporate and community leadership. Embree graduated from the University of Tennessee, the first in her family to graduate from college. She serves on the boards of the Oregon Community Foundation (OCF), Oregon Museum of Science and Industry (OMSI), and Entrepreneurs’ Organization (EO). As the past chair and President of EO, she has led the member organization to reach a 50 percent diversity goal. Embree has called Oregon home for the past 23 years. She lives in Portland with her husband and two daughters. Robin Jones is a startup “Jill-of-all-trades” and Public Market is her seventh entrepreneurial venture. She has held leadership roles across a broad array of functions, including marketing, partner/developer ecosystems, IP licensing, sales operations, HR and finance, product & project management, mergers and acquisitions and fundraising. Jones was most recently SVP marketing and business development at Socrata, where she reworked the go-to-market strategy, and left her tenure as the sales team increased qualified pipeline coverage by more than five fold. Jones founded and grew the OEM business unit at Esri to $2.9 million in revenue over two and a half years. She joined Esri via the acquisition of Geoloqi, a mobile location services startup at which she served as chief operating officer. Jones also co-founded FonJax, where she was the vice president of business development, engineering the sale of the company to Keynote Systems. Jones has an MBA from the Haas School of Business at UC Berkeley and a B.S. from Stanford. She serves on the board of directors of TiE Oregon. Sheila Murty ‘90 came to the United States as an international student from Malaysia to attend the University of Montana in Missoula. While enthralled with big sky country, Murty quickly realized in order to survive she had to get out of the brutal cold. She moved to Oregon and found home. She obtained her BS from OHSU and her MBA from Portland State University. She started her career in healthcare as a clinical scientist, eventually finding her way to HR – leading to a senior HR leadership role at Legacy Health, providing operational leadership and strategic human resources support in various areas for one of Oregon’s largest private employers with multiple locations and with over 12,000 employees. Murty was also Legacy’s first diversity officer and was instrumental in building their diversity strategy. In 2015, she became the Vice President of Operations, leading operations, people & culture, technology, diversity & inclusion for The Oregon Community Foundation, a $2B community foundation dedicated to improving lives in Oregon. In 2018, she made a move to Tillamook Creamery (yes – cheese!) as their first EVP of People and Culture where she is leading the creation and adoption of a clear culture vision, strategies to achieve their vision for a values-based organization and all aspects of building a responsive and strategic HR function. In her free time, she spends time with her three children and husband, watching a lot of sports, enjoying the local food scene, exploring farmers markets and neighborhoods and traveling whenever possible. Every quarter OSU’s College of Business brings the Portland business community together for discussions and networking around ideas and strategies on how we can work together to advance women in business. Registration is $10 per person. All ticket proceeds will directly support activities and programs for the OSU Women in Leadership student club that serves students of all majors, men and women, across OSU. In 2018, we launched the AWL In–PDX Membership Program. Members receive a 20% discount on College of Business professional development courses, among other benefits. Interested in being a part of our AWL In–PDX community? Find out more here. 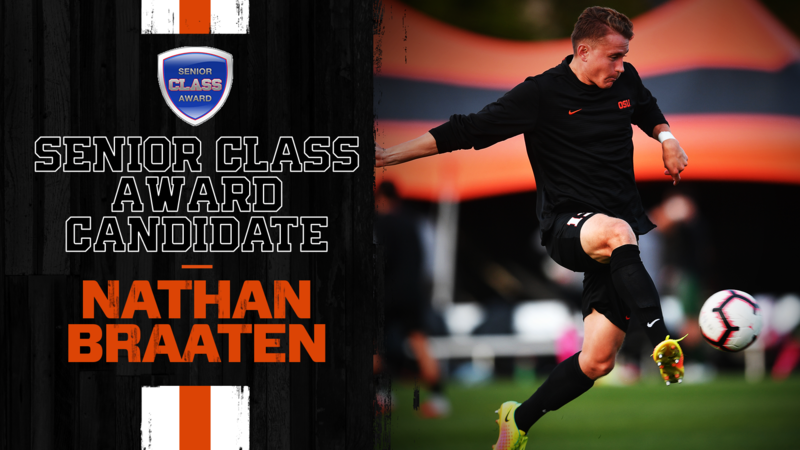 CORVALLIS – Oregon State senior Nathan Braaten has earned national recognition as he was selected as a candidate for the men’s soccer Senior CLASS Award. Braaten is one of 30 men’s soccer players to be tabbed as candidates, and joins Stanford’s Adam Mosharrafa as the only Pac-12 players to make the list. Braaten is one of the co-founders of the DAM Worth It campaign, which was designed to raise awareness for mental health. The program has received national recognition, including winning a Giant Steps Award from the Institute for Sport and Social Justice. For his efforts, Braaten was also presented with a Waldo-Cummings Award, one of the most prestigious honors handed out by the Oregon State Faculty Senate Student Recognition and Awards Committee. Braaten and his co-founder have earned a grant from the Pac-12 to expand Dam Worth It to all Pac-12 universities. The senior has proven to be a dynamo in the classroom, earning Academic All-America Second Team honors last season as a finance major. The senior is a two-time CoSIDA Academic All-District selection and a two-time Pac-12 All-Academic First Team honoree. Braaten has played in 53 games with the Beavers, including nine starts, and has scored a pair of goals and notched two assists. One of Braaten’s career highlights is a goal in a 2-0 win over No. 17 Pacific in the 2017 season. Of the many exciting opportunities that arise from OSU’s Portland expansion comes the greater ability to connect with our Portland-based alumni. 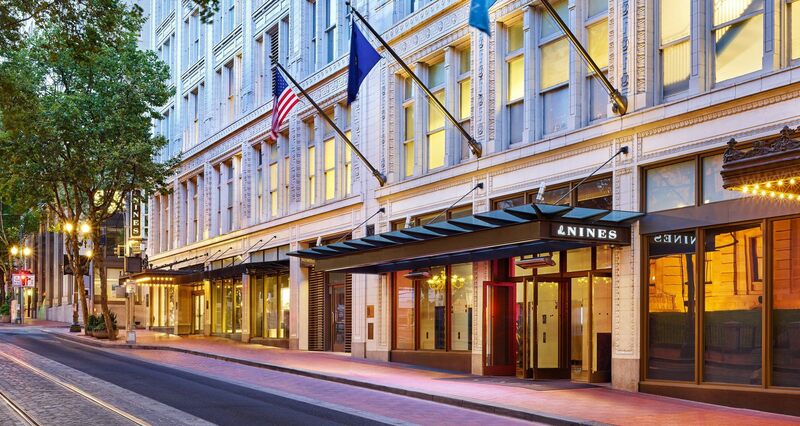 With that in mind, the College of Business is inspired to build the Business Graduate of the Last Decade network – Business GOLD – and take advantage of the great new location at Pioneer Square to get to the heart of Beaver Nation, PDX. So, register today: our first Business GOLD reception is Friday, October 26, 2018. The event, timed to coincide with the fall opening of the OSU Portland hub at the Meier & Frank Building, will be the inaugural Business GOLD welcome reception. The upper floors of Meier & Frank house The Nines, a modern boutique hotel with stunning interiors and views of the city’s bustling business district. We can’t think of a better place to have our first Business GOLD celebration. Portland is the destination of choice for a large percentage of our recent graduates where the hip, big-city lifestyle provides an exciting contrast to the idyllic, college-town atmosphere of Corvallis. Our event brings together these Portland newcomers and the more experienced early-career beavers in business. Specifically, at this happy hour we hope to connect our new graduates with their early career, Business GOLD peer network. Through Business GOLD we will host additional social events throughout the year; we’ll create access to educational workshops and other professional development opportunities. We’ll create mentoring relationships, including outreach to the undergrads with tips on breaking into that first job after graduation. We hope to see you there. It’s a time for celebration and pride for Beaver Nation, and we hope to make an impact with Business GOLD.